We're ready to start training you on Clinical Best Practices and the most efficient home health billing system, TurboClaim. 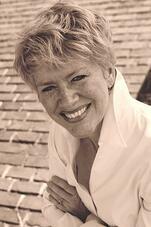 We know – from personal experience – that running an Agency requires commitment to quality. Because MyHomecareBiz’s home health software automates all of your required EMR records for OASIS C, Medicare, Medicaid, JCAHO, CHAP and ACHC, you can dedicate your time and energy to the real reason you became a health professional: caring for patients. With 25 years of home health administrative experience, Melissa Cott started MyHomecareBiz in 1998 to automate accreditation & regulatory compliance and reduce increasing paperwork at her own Agency. 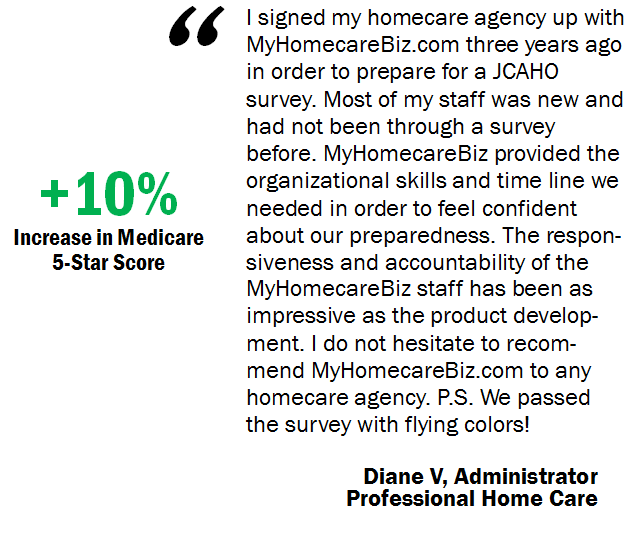 Since then MyHomecareBiz has become a cooperative of hundreds of nurses and therapists actively participating in the design, testing and ongoing development of the MyHomecareBiz oasis home health care software application every day. Since 1998, MyHomecareBiz has been developing intuitive home health software that automates patient care, billing, scheduling, physician orders and other components of home care management. Our home health electronic medical record software is designed, developed and tested by hundreds of home health care nurses and therapists every day.